Anyone can sign up. 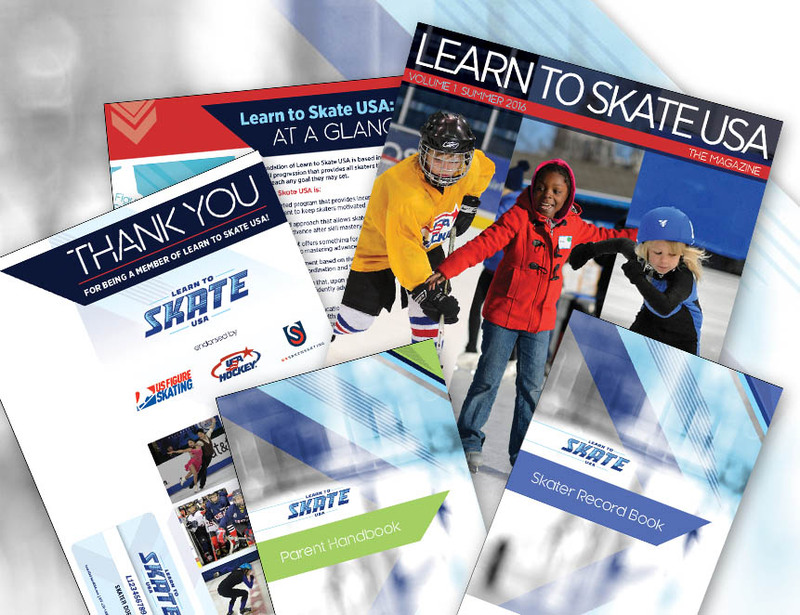 By becoming a member of Learn to Skate USA, the experiences become greater and greater with every glide. Enjoy all of the benefits by signing up today. Be a member of the best skating program endorsed by U.S. Figure Skating, USA Hockey and US Speedskating. * Plus applicable processing and handling fee. ** Please check with your local program for class times, fee structure and any additional information. Once I sign up for my Learn to Skate USA membership, what’s next? If you haven't done so already, contact your local program and sign up for lessons. Utilize the program map on learntoskateusa.com or contact the program directly to find all of the necessary information to sign up for lessons. If you have any questions, ask to speak with the skating director for advice on what's best for your skater. How are the classes grouped together? The class levels in our curriculum represent skills appropriate for the ages and abilities listed. Basic skating skills are the building blocks for advanced skills in later levels. 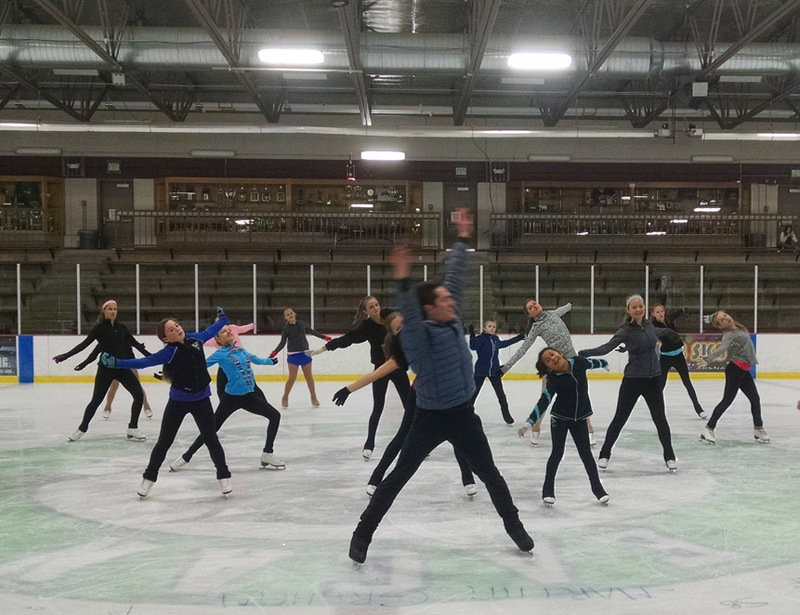 Skating Directors may combine or split the registrants of class levels to create groups that allow classes to run and/ or participants with like age and ability to learn in a more comfortable environment. Changes are most often solidified by week two. What can I expect to happen on the first day of class? What is the procedure for checking in? Arrive at least 20 minutes early to have enough time to lace up your skates and be rink side, ready to go, before lesson time to meet your instructor. Please review the “First Day of Skating” information to learn how to properly fit and lace skates, about proper equipment and recommended attire. Please check with your local program for class times, fee structure and any additional information. How many sessions will it take to progress to the next class level? Typically skaters advance after one or two sessions. But every student is unique and will progress at his or her own pace, possible going through spurts of progress followed by plateaus. Remember that mastering a skill may take time but it is important as everything in skating builds and a solid foundation is important. Please ask your class instructor and/or the Skating Director with questions about progress. Do memberships only apply to competitive skaters? Both recreational and competitive skaters can enjoy the perks of membership. If a member of U.S. Figure Skating, USA Hockey or US Speedskating is enrolled in Learn to Skate USA classes, do they also need to register as a Learn to Skate USA member? Yes. If a U.S. Figure Skating, USA Hockey or US Speedskating member is taking classes in a Learn to Skate USA program, they would also need to register as a member of Learn to Skate USA, as membership is required to access all Learn to Skate USA materials and the resources necessary to fully enjoy your skating experience.